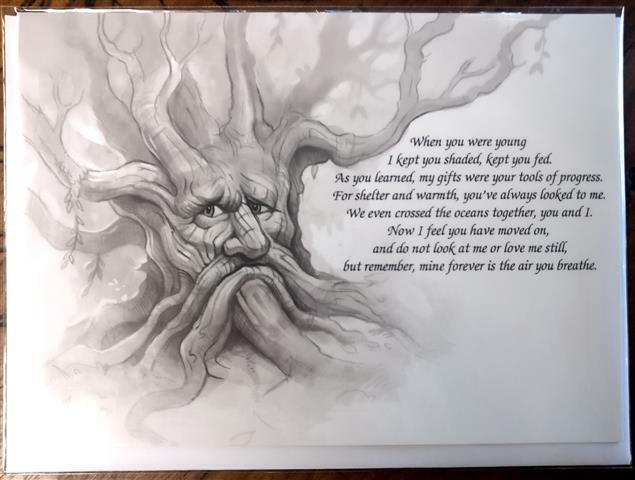 Another unique card, written by ourselves; hardly a greetings card, but a card with a message from all trees. When you were young I kept you shaded, kept you fed. As you learned, my gifts were your tools of progress. For shelter and warmth, you’ve always looked to me. We even crossed the oceans together, you and I.
but remember, mine forever is the air you breathe.